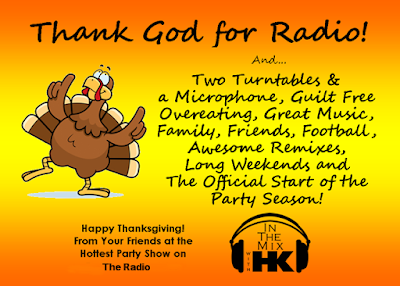 It’s Thanksgiving weekend or as I like to call it…The official kick off of the holiday party season! After eating waaay too much of a great Thanksgiving feast, I always look forward to the weekend for working off those extra pounds. So put down that leftover drumstick and pie, get up outta your chair and get ready to bust a move. I’ve got exclusive HK remixes on Sia, Twenty One Pilots, Ariana Grande & Nicki Minaj, Maroon 5, Bruno Mars, The Chainsmokers and so much more. Plus you know I’m gonna throw in a few surprises. 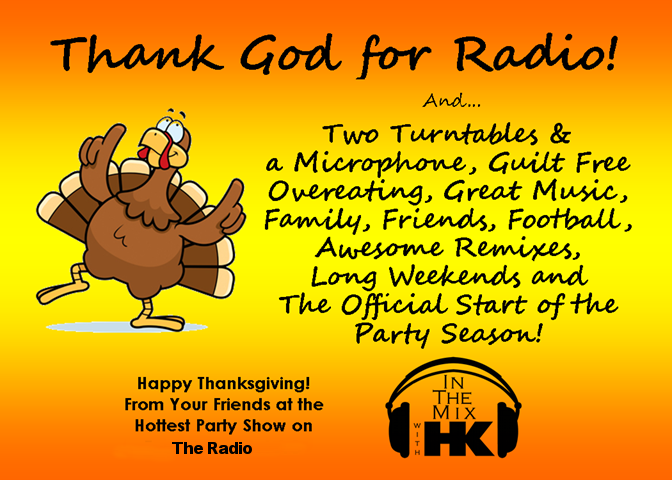 Your Thanksgiving weekend party jam is ready to drop and it’s all going down right here!